Stress is a part and parcel of life. There are many factors like personal and professional life and so on, which can stress you out. Stress can rob your peace, invite health problems like high blood pressure, weight gain and many more. If you get stressed often then you must read this as the study will shock you! Middle-aged people who get stressed out more can experience memory loss. We are not kidding here! Reportedly, according to the researchers, including one of the Indian origin, their brain size might also reduce. Stunned right? 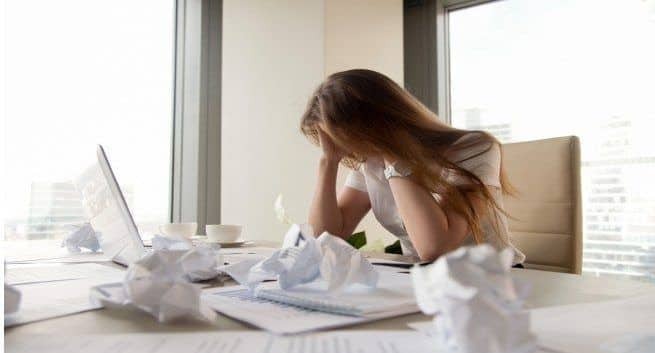 According to the study, people who had higher levels stress-related hormone – cortisol, couldn’t memories things properly and other cognitive tasks compared to the peers of the same age who had average cortisol levels. The higher cortisol in the blood was tied to smaller brain volumes. Reportedly, according to lead author Justin B. Echouffo-Tcheugui, from the Harvard University, cortisol can wreak havoc on many different functions, due to which it is vital to examine how higher levels of cortisol affect your brain. Furthermore, in the study’s middle-age participants before the onset of any symptoms, memory loss and brain shrinkage were found. You must be worried after hearing this right? Reportedly, for the study, reported in the journal Neurology, the team examined over 2,000 adults in the age group of 40-50 for their fasting blood cortisol levels and brain volume along with their thinking skills. A magnetic resonance imaging (MRI), was also done to know about the brain volume. Reportedly, according to Sudha Seshadri, Professor at the University of Texas, In an attempt to understand cognitive ageing, one crucial factor which is a cause of a concern is stress. Higher morning cortisol levels in many people were connected to worse brain structure and cognition. According to researchers, in order to destroy stress, people should follow a good sleep routine and stay physically active.